Here is a quick summary of what is happening in the market in our area. 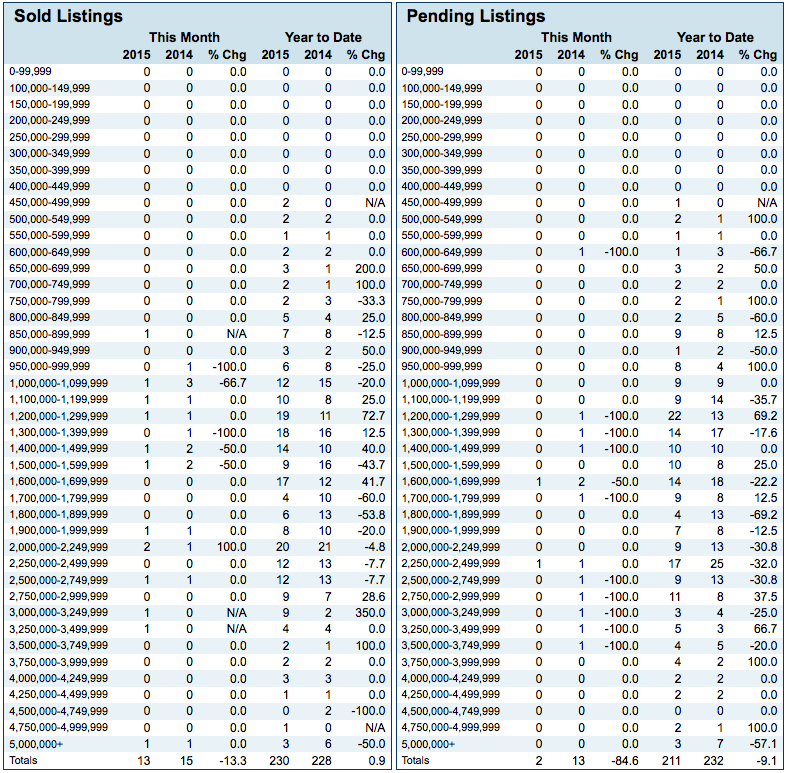 Area Sales: When looking at New Canaan and its surrounding towns of Stamford, Darien, Wilton, Norwalk, Westport, Weston and Ridgefield, collectively the total number of house closings is up 4.6% and volume of sales is up 3.3%. 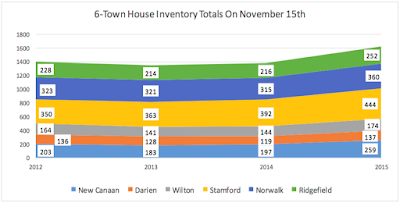 New Canaan market: While the 20 house closings in October was slightly lower then October of 2014, it's still the second most closings in this month in New Canaan since 2003. 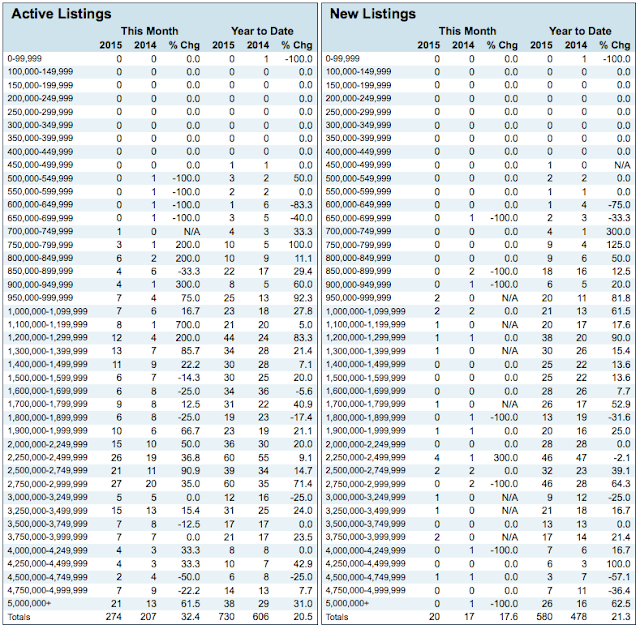 New Canaan Inventory: The 284 active New Canaan house listings as of November 1st is a 32.7% year-over-year increase and the most active houses at this time in the year since at least 2007. 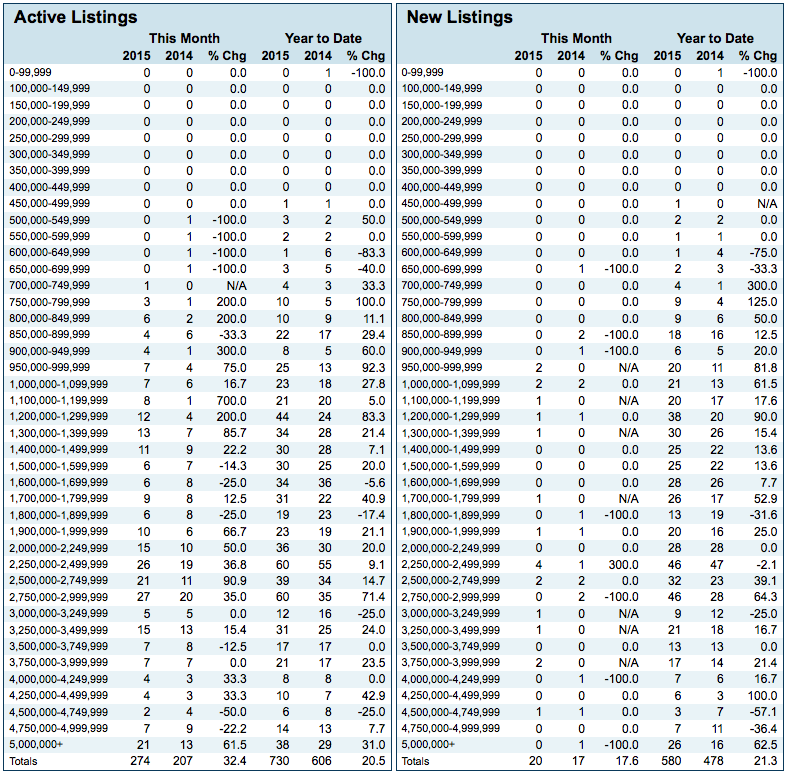 Similarly, the 47 condo listings is an 80.8% increase vs. last year. Pendings: Pendings are down in New Canaan, for both houses and condos. On November 1st there was a combined 27 houses and condos pending as compared to a combined 43 houses and condos pending at the same time in 2014, a 37.2% decrease. Below is a link to our November Market Report, which includes detailed information on the market through the first 10 months of the year. 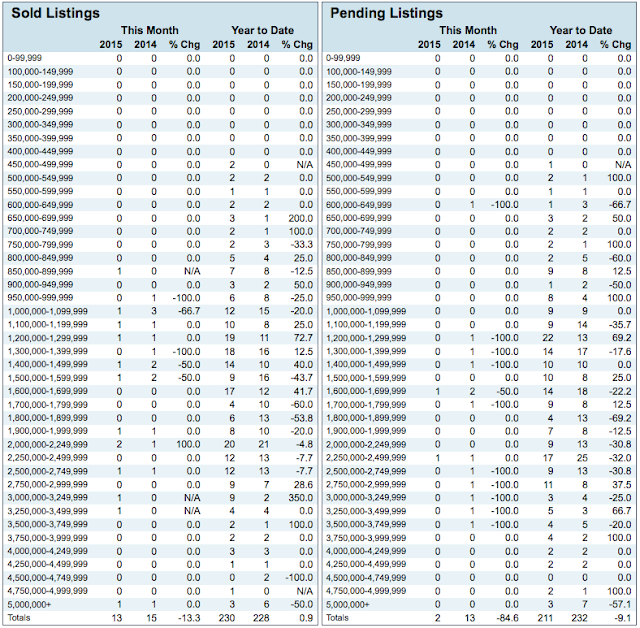 Please see the town comparison chart above for a quick overview of the area's real estate activity.